Rex Stokes is now at peace after a six month struggle with cancer. 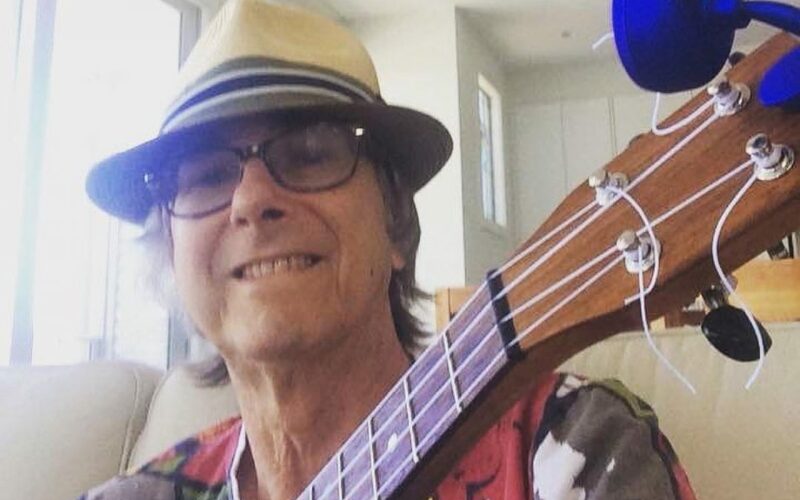 Music played a big part in Rex’s life, and he got much enjoyment and happiness from being part of our group, at a difficult time in his life. He was a particular friend of Chris Dovey (our resident uke maker). His son, Mark, asked if it would be possible for some of the Ukulele Group to sing a song at the service. There were 12 of us who played and sang a suitable version of “you are my sunshine” as the hearse drove off, leaving the gatherers to reminisce over afternoon tea at Leonda in Hawthorn. Rex was interested in making instruments and had partly made his own uke – many months of labour in Chris Dovey’s workshop. He was too ill to complete it, so Chris finished it off and brought it along. They had a few of Rex’s guitars on display – with his straw hat . The uke was placed nearby.